Pumpkin observation. 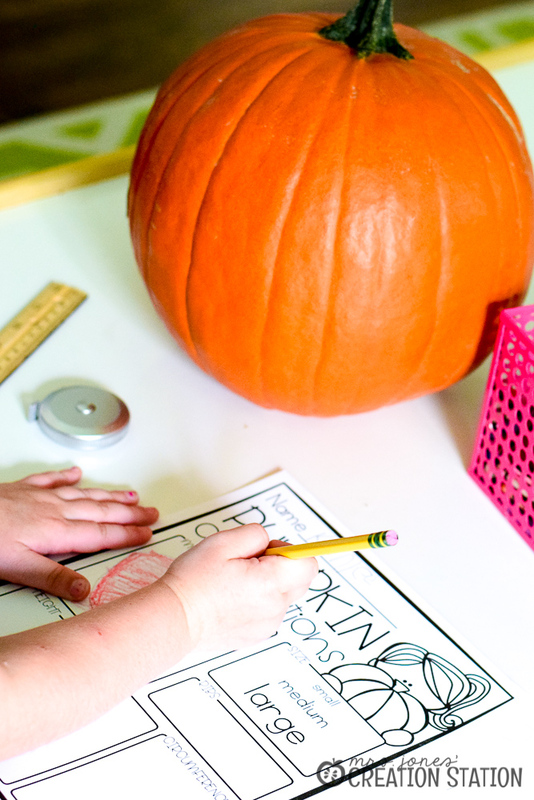 Is it just me or do you get a little giddy when pumpkin time in the classroom comes around? I absolutely love watching little ones explore pumpkins. And this free printable is a great way to get them excited. One of my favorite fall field trips is when you get to come home with a pumpkin. Maybe a trip to the pumpkin patch, a local farm or even the grocery. No matter where your kiddos go, bringing a pumpkin home is the best. Once we have pumpkins in the classroom it is time to learn. 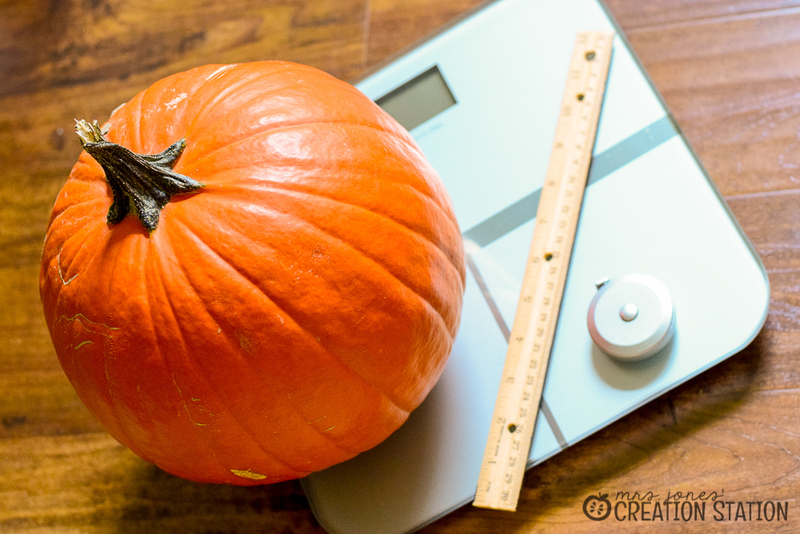 I like to do both math and science when we investigate pumpkins. We draw our pumpkins, determine their size and count the ribs on each pumpkin together. Little learners need to measure using nonstandard forms. Counting bears , stacking cubes , links and blocks are great tools to have in the classroom. Especially as learners explore measurement for the first time. You can see how we used nonstandard forms of measurement with our apple investigation. For this investigation, we pulled out standard forms of measurement. 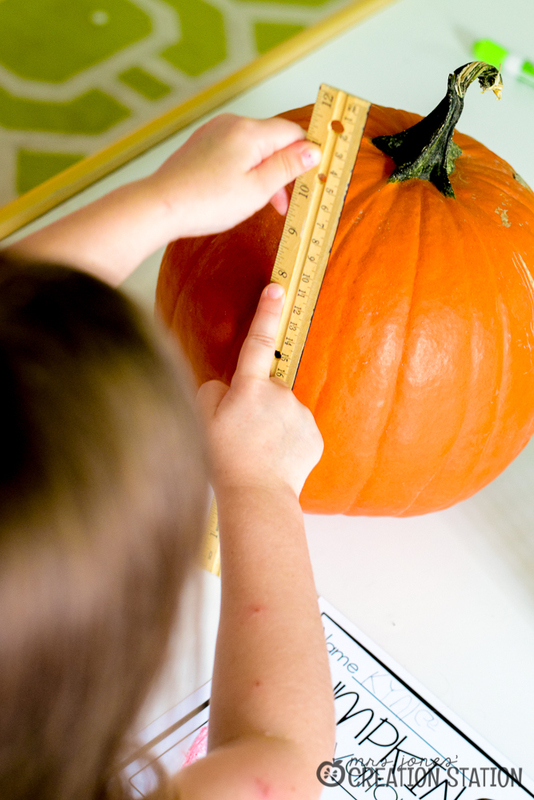 We used a ruler to measure the height of the pumpkin. Measuring tape to determine the circumference. And a digital scale to measure the weight. If you were to ask me what tools to use I would ask you about your learners. We have explored measuring with nonstandard tools for a while. And there had been some interest in how to use the ruler, which made choose these tools for this unit appropriate. You can grab this free printable by clicking the MJCS download image at the bottom of this post and waiting to redirected in your browser. This best part about this freebie, well yes that it’s free! But, also that you can differentiate it for your own needs. 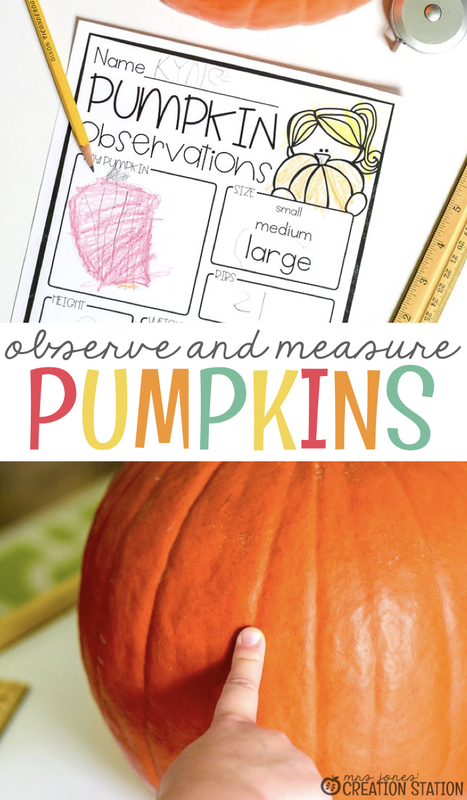 You can use it for your whole class, small group or individual depending on the pumpkins you are measuring. 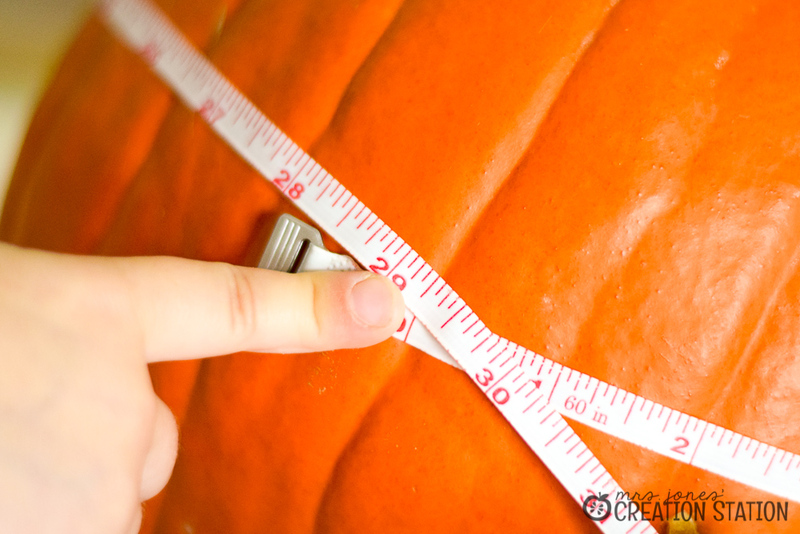 Use nonstandard or standard forms of measurement. You can even add this resource to a center for more exploration. 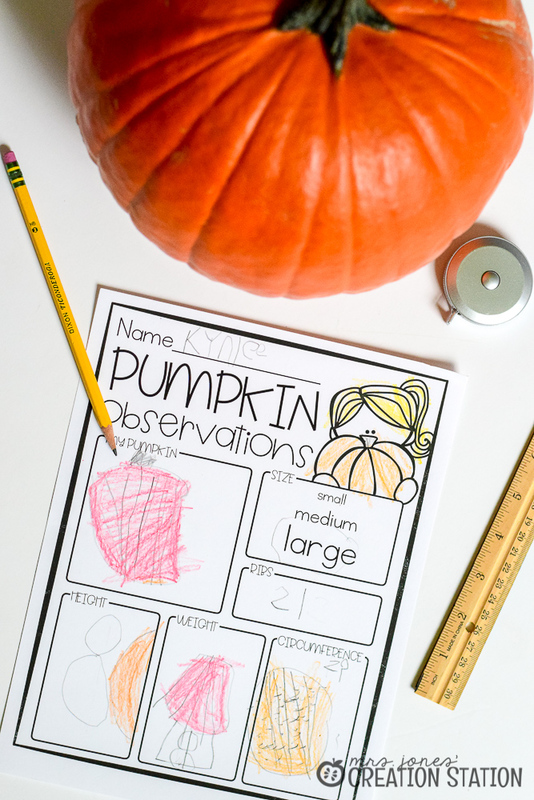 Grab my pumpkin lapbook to explore pumpkins in a fun and engaging way. 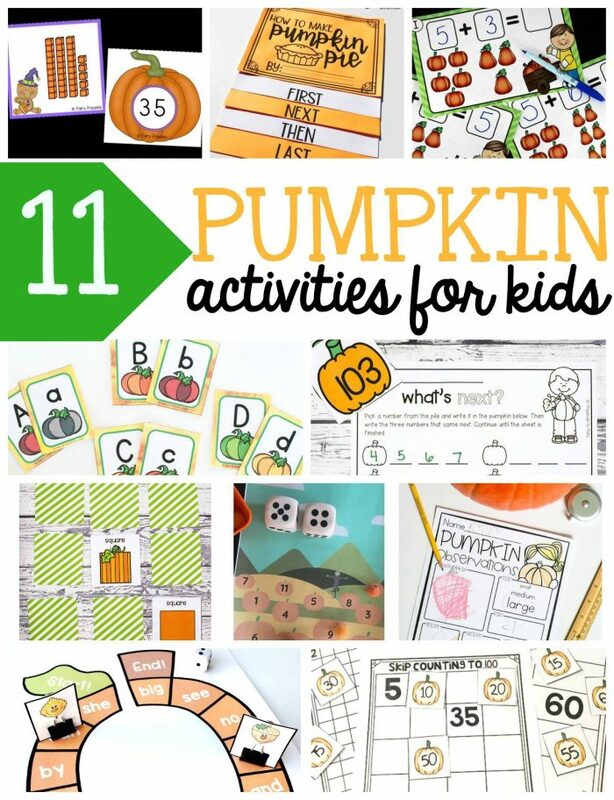 Find everything you need in my Pumpkin Thematic Unit. 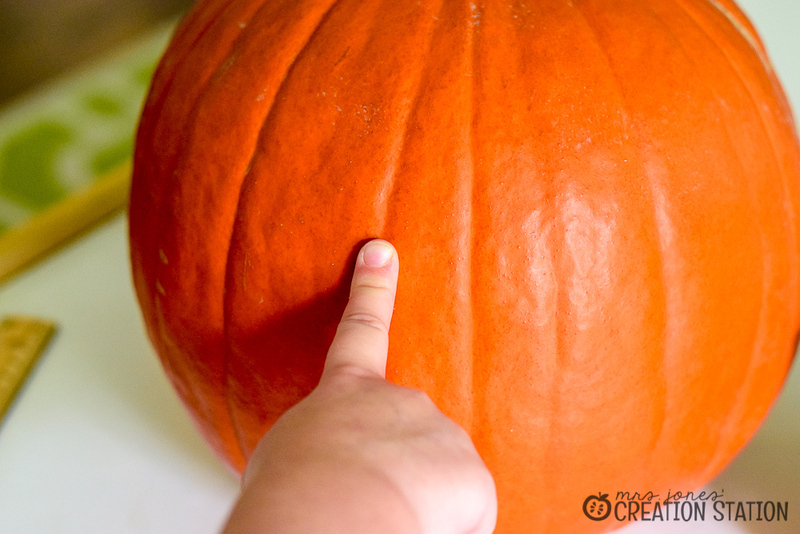 Explore a pumpkin’s anatomy with this pumpkin science craft.